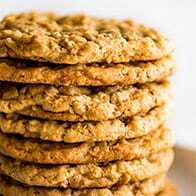 Hello and welcome to the only recipe on the site that is not taste tested and approved by yours truly. 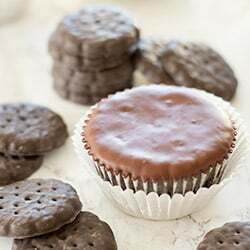 We are on our penultimate recipe of my Girl Scout Cookie Cupcake series and have reached the dreaded Samoa Cupcakes week. Guys, I have a confession: I don’t like shredded coconut. I don’t like shredded coconut on things, so really I don’t like Samoa cookies. But you know what I LOVE? Complete sets of things. 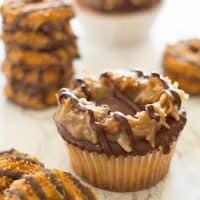 There’s no way I could do a Girl Scout Cookie Cupcake series and leave out one of the most iconic cookies of them all, so for my Samoa Cupcakes, I enlisted some trusted tasted testers and went to work. 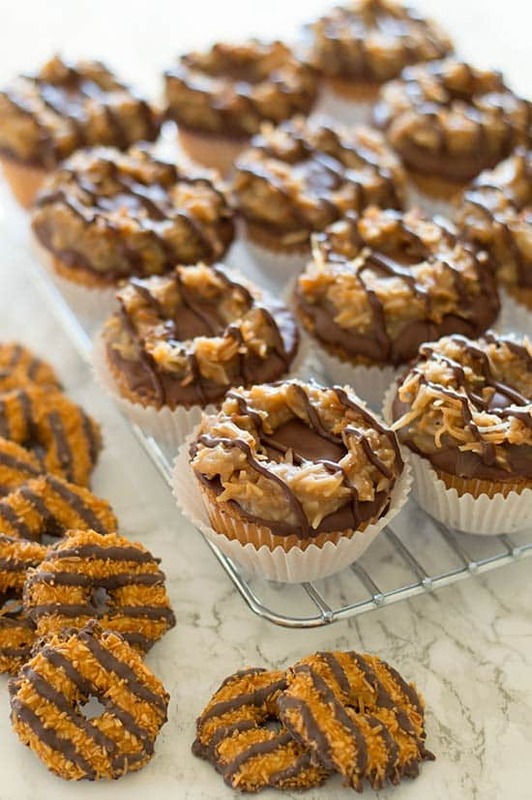 Samoas are a crunchy cookie base covered in chocolate, topped with shredded coconut and caramel, and then drizzled with more chocolate. So for these cupcakes, I returned to our pound cake cupcake base. That gets dipped in chocolate. Then we whip up some quick homemade caramel, toast some coconut, spread all that over the cupcakes and top it all a bit more chocolate. The end result is gorgeous, if I do say so myself. Visually, they are my favorite of all the cupcakes. They look just like giant versions of the cookies and are so cute. How do they taste? Well, the components by themselves are all delicious. The pound cake and homemade caramel are two of my favorite things to come out of my kitchen. As a whole, according to the taste testers, they are…the best of all the cupcakes. 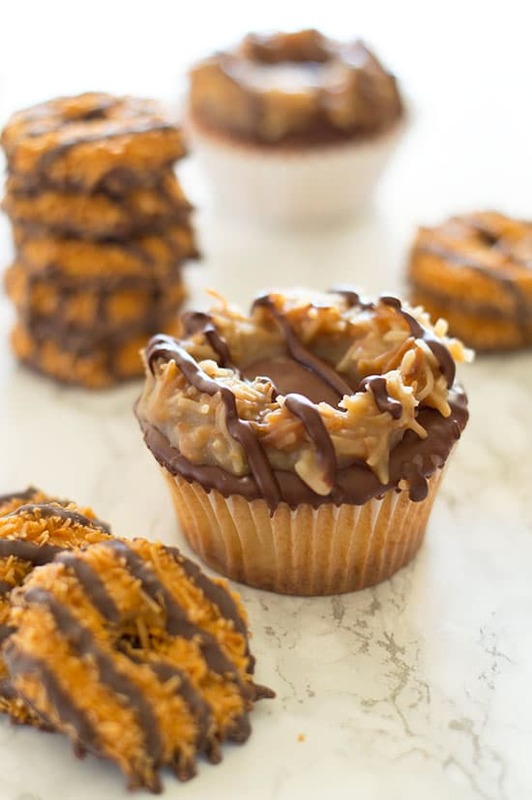 Samoa Cupcakes: toasted coconut, quick homemade caramel, and chocolate coating over a pound cake cupcake is sure to please lovers of the Girl Scout's most divisive cookie. 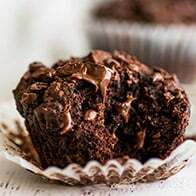 In a small microwave-safe bowl large enough for cupcake dipping, combine 2/3 cup of the chocolate with 1 tablespoon of the oil. Microwave on medium for 30 seconds and stir. Repeat until chocolate is melted and no lumps remain. Stir vigorously until chocolate is shiny and smooth. Dip cupcake tops in the chocolate, allowing the excess to run off. 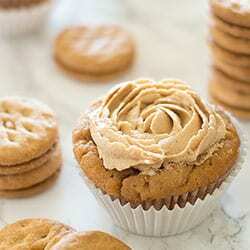 Place cupcakes on a tray in the refrigerator to set while you prepare the caramel and coconut. Combine butter, brown sugar, heavy cream, and salt in a small pot. Cook over medium heat until butter is melted. Stir and bring mixture to a simmer. Set timer for five minutes and simmer (turn the heat down if it begins to boil), stirring occasionally, until thickened and syrupy. Remove from heat and stir in vanilla. Set aside to cool until just barely warm to the touch. While your caramel is cooling, preheat oven to 350°F. Cover a baking tray with parchment paper and spread coconut evenly over the surface. Cook for 8-10 minutes, stirring every couple minutes until coconut is just lightly toasted. Don't walk away from your coconut in the oven. It burns quickly! Allow coconut to cool for 5-10 minutes. Pour toasted coconut into the pot of cooled caramel and stir to coat. Using a large spoon and your fingers, scoop and arrange the coconut in circles on the top of each cupcake. In a small bowl, combine the remaining 1/3 cup of chocolate and 3/4 teaspoon of oil. Microwave on medium for 30 seconds until chocolate is melted, stir and repeat if needed. Pour into a plastic bag (placed over a cup to hold it open), seal the bag and snip off a very small piece of one of the corners. "Pipe" a couple lines on a plate or parchment paper for practice and then pipe vertical lines of chocolate onto each of the cupcakes. 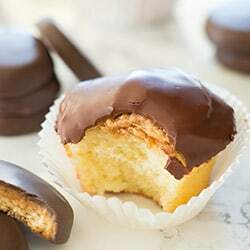 Place cupcakes in the refrigerator for 15 minutes to allow caramel and chocolate to set. Small-batch Instructions: This recipe halves cleanly. Depending on the type of bowl you have, you may need to make the entire amount of chocolate so it is deep enough for dipping. Oh, I LOVE coconut! I love coconut in food and coconut scented things like candles and lotion so these look totally delicious to me! 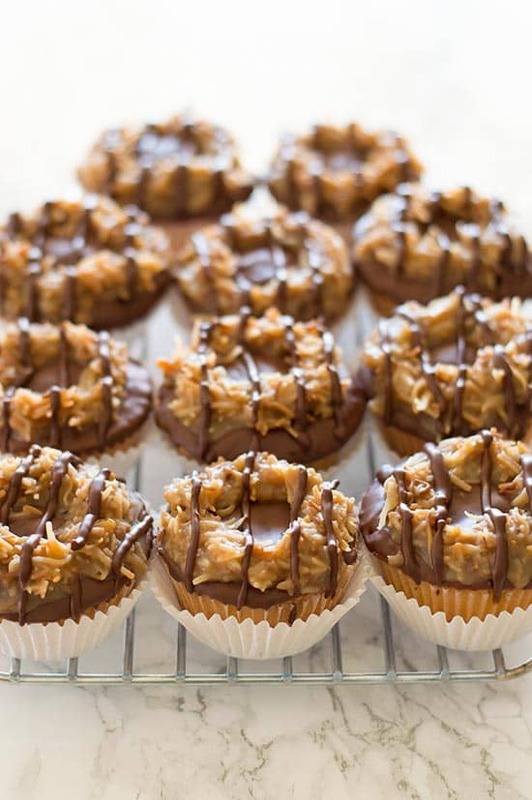 These samoa cupcakes are super cute, and look so delicious! These are ingenious, you’ve outdone the originals! WOW! These are beautiful and look so good! I love that you created this for a cupcake. YUM! So decadent! Chocolate, caramel, coconut…some of my favorite flavors together in one! These cupcakes are the cutest! I can’t believe you don’t like coconut… it’s one of my favorite flavors! 😉 Thanks for biting the bullet and creating these dreamy cupcakes for those dang coconut lovers out there! 🙂 Definitely pinning! I’ll happily take your share! These are gorgeous and I’m sure incredibly tasty! You’re welcome to it! 😉 Thanks, Valentina! Can I make these the day before I need them? If so, should I store them in the refrigerator? They can be made the day ahead and stored at room temperature in an air-tight container. cupcakes for my husband! 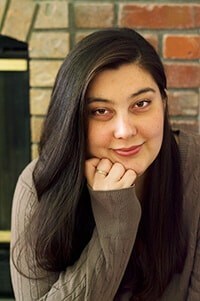 Thank-You Tracy. Have a great weekend! Hehe, thanks, Sanita!! Hope you also have a fabulous weekend! Great instructions! The only adjustment I made is to use coconut oil in place of the oil for melting the chocolate. The men in my family loved the recipe. The pound cake cupcake is the only homemade cupcake recipe I have made that I like or feel like is worth not buying a box mix! 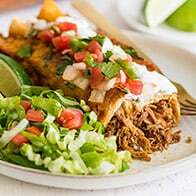 So thankful to have found your site with all the small batch recipes! Thanks, Lisa! 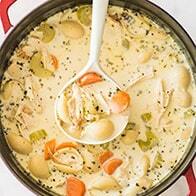 I’m so glad your family enjoyed the recipe! !